Starting point at the Wood Market then promenading through Abbey Row into the church- yard and Kelso Abbey. Historic Scotland site -admission charges apply. Historic Scotland site- admission charges apply. ANDATE Chamber Choir led by Jonathan Stone. 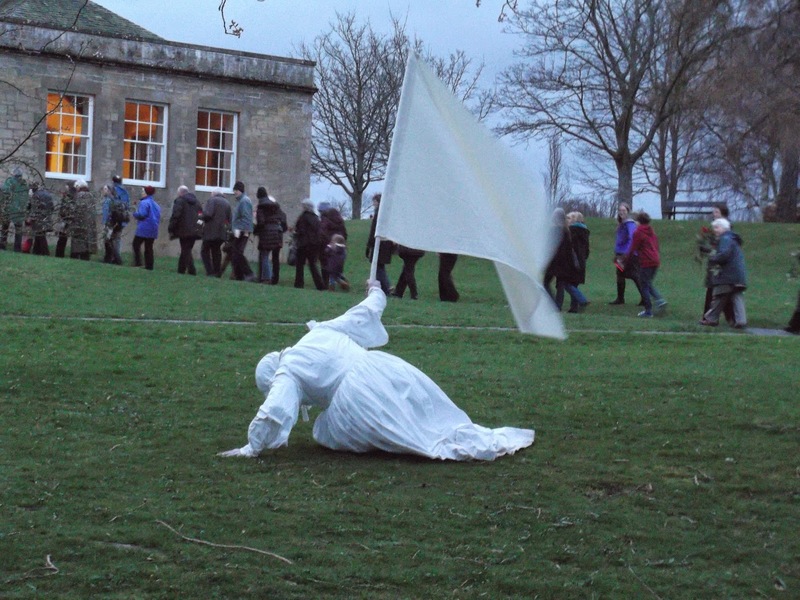 Borderlands will be part of three special events in the Borders and Aberdeenshire. Historic Scotland in collaboration with The Red Field presents the final installment of the Fragment Project celebrating the recent discovery of the Hawick Missal Fragment. 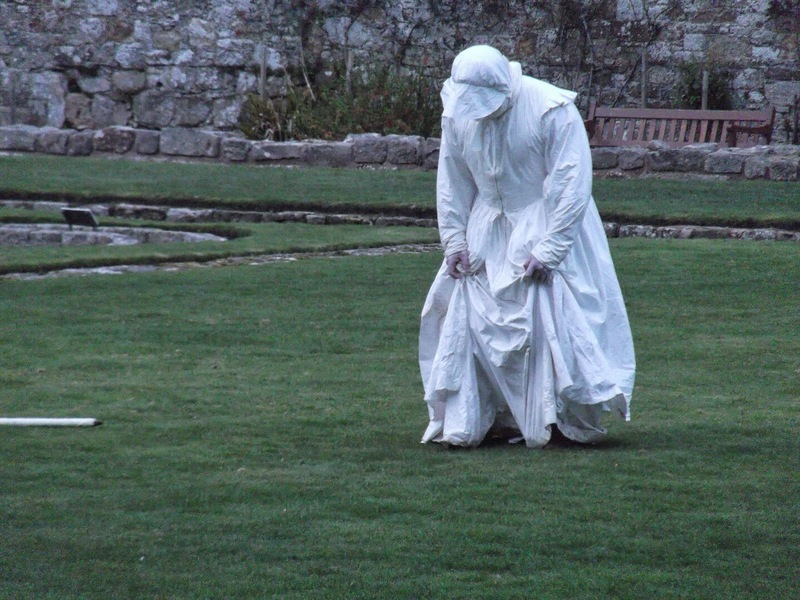 Dudendance will take part in a performance installation at Melrose Abbey presenting initial ideas from Borderlands. Paul performs solo in the Abbey grounds and outside the Melrose church. In collaboration with the Scottish Border’s Council a street version of *Borderlands will be shown for the Queen’s Baton Relay as part of the *Commonwealth Games celebrations. 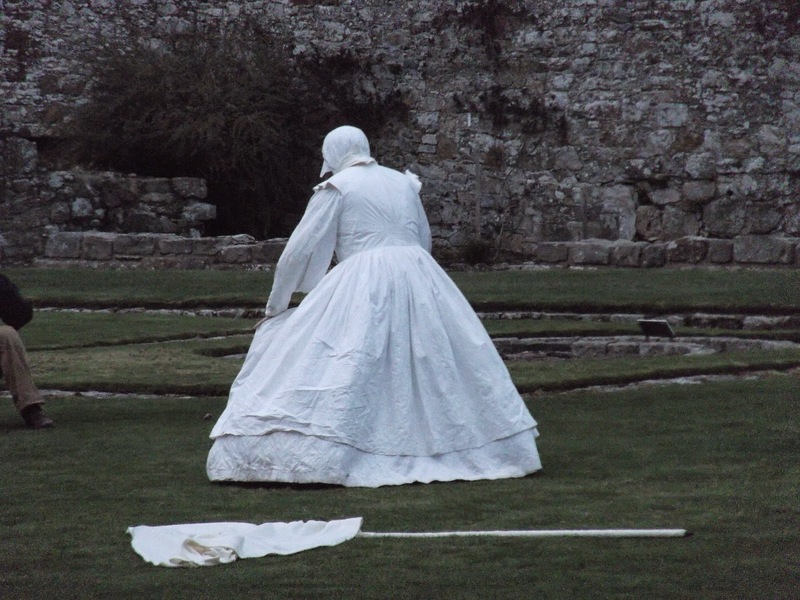 Following on from a summer-school intensive with local young people *Borderlands is a starting point for a sculpture promenade performance at the site of the former sculpture park in Lumsden Aberdeenshire. The performance will be followed by a BBQ at SSW. summer and autumn school intensive training. and Anu Selva-Thomson from Summerhall will look at how the creative process defies categorisation and how crossing art forms is vital in looking for new forms of expression.